Sam Horsfield, a senior and well respected member of CLDA was awarded the Club's Certificate of Honour in 1999, presented by Les French at the NW Region AGM, after being a member for some 40 years and a founder member of CLDA, he served the DA as Committee Member, Secretary, Vice Chairman, Chairman but as an ordinary member where his willingness to participate as Steward, Ambassador, Site Finder, project leader or Innovator, has been of benefit to all those who get pleasure from DA camping. Of course, Sam may have got the award but much of the credit goes to Olive, affectionately known as "Mother of the DA". Their willingness to help others, the way in which they take care of new members plus the work they do in stewarding meets and THS's makes this award a fitting tribute to BOTH of Them. 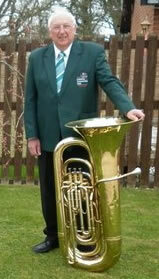 Les Cottrell has a long association with the Club and Central Lanc's DA, and is well know for his active involvement in the thriving Greater Manchester brass Band community, was awarded the Club's Certificate of Honour in 2002. The organising committee for the 1994 National Feast of Lanterns, to be held in the North West Region, was determined to produce a memorable event with some new ideas. Les realised that there must be many Club members, like himself, who had to leave their musical instrument at home when they went camping. So, in a bold and inspirational move, he suggested that an appeal be made for any brass band players to bring their instruments to the NFOL with a view to getting together to form an impromptu to play at this event. 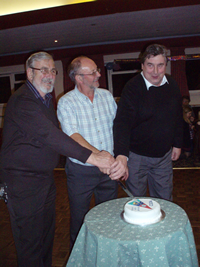 The idea was accepted and an appeal was made through the Club Magazine, the Bands performance was a memorable success, the players were so enthusiastic that, with Les's continued commitment, and support from the Club, The Camping and Caravanning Club Brass Band was born. 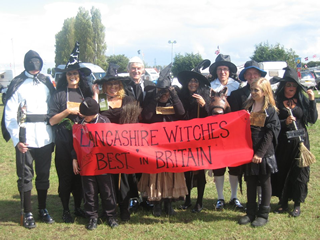 At the instigation of Les, the band has entered the Saddleworth Area Whit friday Brass Band Contest. Since 2000 the contest weekend is an eagerly awaited experience for the band, as well as many other Club members, who come to stay at the CLDA meet near Greenfield, in the heart of the contest area. 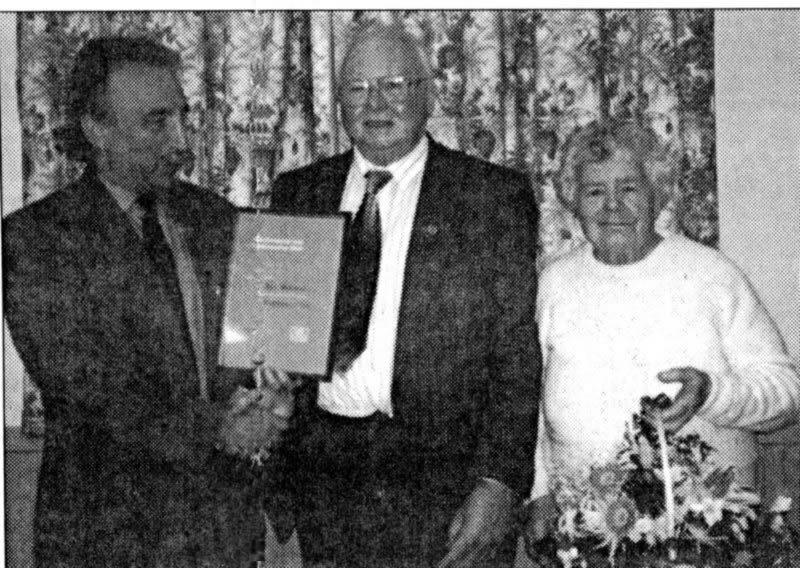 Graham Harrison, In recognition of his dedicated service to Central Lanc's, The North West Region and The Camping and Caravanning Club, was awarded the Club's prestigious Certificate of Honour in 2003. A representation from the whole of the CLDA regulars has brought this well deserved reward for all the hard work and time that Graham has devoted to the Club and its members during his 23 years on the committee. 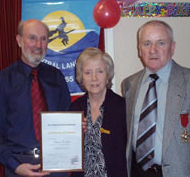 Frank Holden, a longstanding member of CLDA since the early 1970s and committed supporter of the DA received the Club Certificate of Honour for 2009, at the AGM held in March 2010. Presenting the certificate, Nev Ramsbottom, Immediate Past Chairman, referred to the level of commitment and input required of a member to achieve such an award and noted Franks many achievements over the years, including committee duties such as PRO, Youth Officer and Sites Secretary, and not least with the newsletter, being Editor for 14 years which he has also been awarded the Burnham Trophy twice. Ray and Brenda Clarkson Awarded Top Club Honour in 2013. 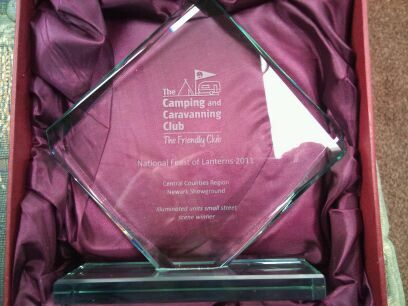 This is the sixth time the Club’s Certificate of Honour has been awarded to Central Lanc's members in the past 14 years. The official presentation was made by the Club Chairman Albert Walker at the recent NW Region Meet where he summarised their work for Central Lanc's and NW Region. 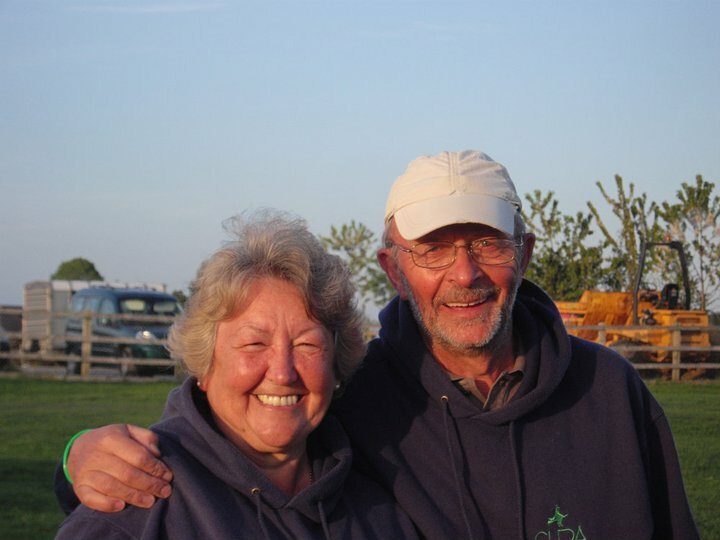 Ray and Brenda worked tirelessly for CLDA during their many years on the committee, including Ray being the longest serving chairman for 9 years, then went on to become Chairman of NWR, and always supported by Brenda actively leading our social activities during this time. CLDA New Year Meets gave them both the opportunity to show off their entertainment talents and the extent to which they would go to give enjoyment to members. These extended from growing a beard for a "Royal Family" sketch, which was subsequently shaved off for charity, to the performance of a balloon dance with two close friends. The latter was so well received that they were persuaded to repeat the performance at a region Meet, albeit with less clothes. This caused a degree of trepidation as the then Club Chairman, Olive Reay, was sitting on the front row. The fears were unfounded as afterwards they were complimented on their attributes, which was taken as their dancing skills and proficiency with the balloons rather than anything else. 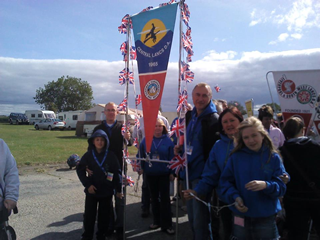 They also stewarded our THS at Arnside for 11 years during the days when we regularly had well over 100 units on site during the Bank Holiday weekend and continued the tradition of campers joining the Morecambe Bay walk from Arnside to Kents Bank. Ray and Brenda are a team who quite unselfishly contribute in as many ways as possible in the best interests of all Club members. Their willingness to volunteer for all and everything in support of the Club was highlighted during the presentation and we are particularly grateful that they were able to demonstrate this once again when they took over the stewarding of our recent Arnside THS at very short notice. At our New Year 's Meet, Millennium 2000, Betty Savage aged 80, with nearly 40 years membership, had her photo taken holding our youngest member aged 3 days. 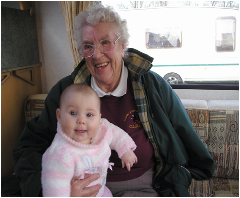 On 7th April 2010 Betty Savage became a nonagenarian (she turned 90 for those unfamiliar with the term!) and two days later on the 9th April celebrated her Golden Wedding Anniversary with Andy. 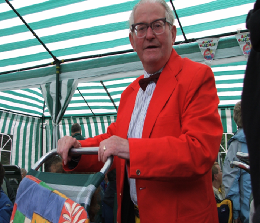 Andy Savage in his famous ‘red jacket’ was a familiar sight over the years and his impromptu speeches never failed to include tales of ‘latty tents’ as he recounted the days when Central Lancs camping was just that – tent camping - caravans being discouraged. Ironically, Andy was the first to change to a ‘tin tent’ and found his van banished to the next field. Andy, who was ever willing to help out when called upon, served on the committee in the early days with spells as chairman and vice chairman. 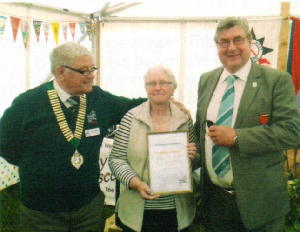 Now in their nineties, they reached the milestone 50 years Club membership in 2012, pictured right being presented with their certificate by then Chairman Graham Harrison, but unfortunately decided that the time had come to bring their camping to an end due to Betty’s failing health. Sadly Betty and Andy passed away a fornight apart Betty on 27th October aged 93 and Andy died November 14th 2013 age 90. North Lanc's DA had grown in size and in the 1960's people were turning from simple ridge tents and early frame tents, to motor caravans, Dormobiles and caravans. This trend, away from camping under canvas, was not to the taste and feelings of some of the N. Lanc's members, and in 1963 some campers suggested a breakaway group or section with a view to becomming a DA. When C.L. section, as it was then known, held the Inaugural Meetingon on Wednesday 26th May 1965 at Bank St. Church School, Bolton, 75 members were present, CLDA was born. All members camped in tents, bell tents, Raclets, etc., but in 1967 the first caravan appeared. gradually, caravans and fairly recently, motor homes have taken over and family tents have gone. There have been long periods of stability thanks to loyal and continued work by members willing to give of their time. Members have searched out new sites for the D.A. thus adding to the variety of sites to satisfy members' varying interests. Farmers whose fields have been used have been very helpful and have improved field entrances to make easier access for caravans. Camping provides members with a wide range of interests and our "on-field" activities like the weather are mixed. We can accept snow at Easter (Kettlewell 1975) and rain at Harrogate (Summer 1993), the worst ever mud at Matlock (Easter 1994) when everyone literally pulled together to free units from the mud. In 1977 we celebrated the Queen's Jubilee, complete with Brass Band and C.L.D.A. Majorettes. Perhaps the biggest success in the D.A. 's history has been the organising of Temporary Holiday Sites". C.L.D.A. organised their 1st Temporary Holiday Site at Haselslack in 1989 for one week. Initially, the idea was for all C.L.D.A. members to come together for a week's holiday. Activities were organised by members: - walks, bike rides, flower hunts, beetle drives, boules, swimming, treasure hunts, fishing and, the highlight of the week, joining 300 folk on the Morecambe Bay Walk, led by Queen's Guide, Cedric Robinson. Other campers having read of our activities have joined us and we now have members from all over Britain visiting us. Members of the D.A. have always taken part in the most important meet in the Club's Calendar - the "National Feast of Lanterns". Some members give up a week's holiday to help lay out the F.O.L. site, set up waste pits and water points and peg out hundreds of pitches for members' tents or caravans C.L.D.A. 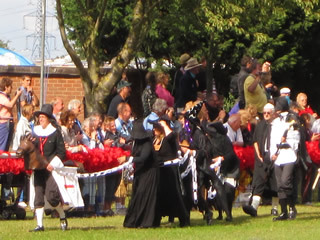 have taken part on the various carnival events, producing tableaux of different themes over the years. The practical skills and artistic ability of Club members is only surpassed by their ingenuity in producing tableaux based on themes as varied as "'Allo 'Allo" complete with cafe, "Swinging Sixties" and "Space Travel".